Researchers have discovered a micropeptide molecule that can restore normal heart function in mice, according to a study in eLife. The micropeptide works by preventing calcium dysregulation and remodelling of the heart and could be a promising new gene therapy target to treat heart failure. Among the many processes that lead to heart failure, the disruption caused by calcium is the most prominent. The movement of calcium in and out of cells—known as calcium cycling—is the vital process that allows the heart muscle to contract and relax, pumping blood around the body. Relaxation is controlled by a calcium pump called SERCA, but the action of this molecule is impaired in heart failure and it has previously been suggested that boosting the activity of SERCA could preserve heart contractility and treat heart failure. "Our lab recently discovered a micropeptide called Dwarf Open Reading Frame (DWORF), which binds directly to SERCA and enhances its activity," explains lead author Catherine Makarewich, postdoctoral researcher at the University of Texas Southwestern Medical Center, US. "In this study, we explored the therapeutic potential of high levels of DWORF, as a way to increase SERCA activity and improve heart contractility in heart failure." The team's previous work suggested that DWORF works by displacing a molecule that inhibits SERCA, called phospholamban (PLN). To investigate this further, they engineered mice to have higher levels of DWORF and/or PLN in the heart and then studied the effects. 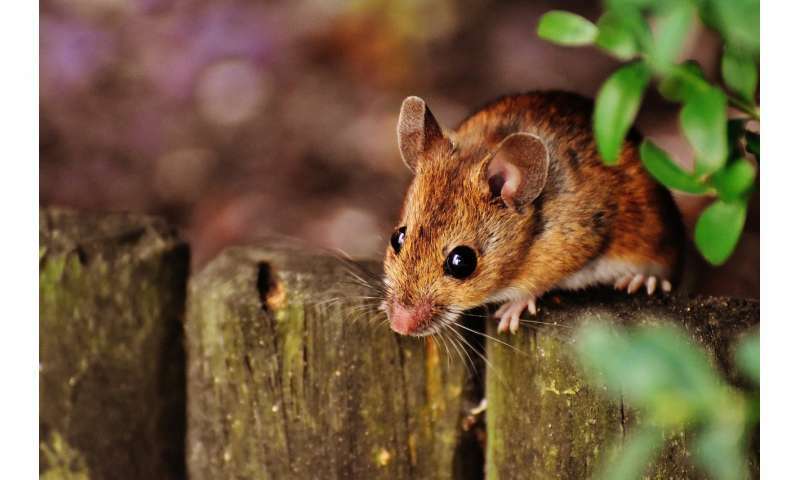 They found that the engineered mice and normal mice had similar cardiac function and structure, but the mice engineered to have higher levels of DWORF showed enhanced calcium cycling. Conversely, heart muscle cells from the mice with higher levels of PLN showed the opposite and had reduced contractility. In the mice engineered to have high levels of both DWORF and PLN, the adverse effects of excess PLN were completely prevented, suggesting that DWORF could protect against its pathological activity. To investigate this further, the team looked at the effects of increasing the levels of DWORF in mice with dilated cardiomyopathy—a condition in which the heart becomes large and cannot pump properly. When studied by echocardiography, the mice with cardiomyopathy had reduced contraction power in the left ventricle of the heart as shown by a lower ejection fraction (the amount of blood ejected from the heart chamber with each contraction). By contrast, the mice with higher levels of DWORF had significantly improved left ventricular function. Mice that had DWORF removed entirely had even more of a decline in heat function than the normal mice with cardiomyopathy. High levels of DWORF also prevented the physical hallmarks of cardiomyopathy in the mice—the enlargement of heart chambers, thinning of the chamber wall, and increase in the volume of heart muscle cells. The build-up of scar tissue in the heart is also characteristic of myopathy, and this was also prevented in the mice with elevated levels of DWORF. Taken together, the results show that DWORF can prevent both the functional and structural effects of cardiomyopathy in mice. "Previous attempts to restore SERCA to protect against heart failure have been unsuccessful because they have focused on increasing levels of SERCA itself," explains senior author Eric Olson, Professor in Stem Cell Research at UT Southwestern Medical Center. "We believe that increasing levels of DWORF instead may be more feasible, and that the small size of the DWORF molecule could make it an attractive candidate for a gene therapy drug for heart failure."